Misdiagnosed facet syndrome is a major problem for the many patients who are placed into treatment for a condition that is not even the true cause of their pain. Misdiagnosis is an epidemic occurrence throughout the healthcare system, but is more prevalent in the dorsalgia treatment industry than in any other sector. In our many years of work educating and advocating for patients worldwide, we have come to identify mistaken diagnosis as the number one problem facing chronic pain sufferers. 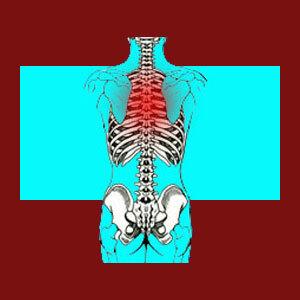 When it comes to facet joint syndrome, all the usual factors that facilitate misdiagnosis are once again in play. These include the usual scapegoat degrees of normal joint degeneration and all the typical age and arthritis-related changes that shoulder the blame for creating symptoms unfairly. These are basically the same structural changes that lead to misdiagnosed pinched nerves, misdiagnosed spinal stenosis, grossly misdiagnosed herniated discs and criminally misdiagnosed degenerative disc disease, among with other mistakenly identified sources of pain. This is not to say that these processes can not create pain, for they surely can and do. It is simply saying that in many, many patients, the structural changes are normal and not pathological, yet are still implicated baselessly as the origin of symptomatic activity. This essay focuses on the occurrence of misdiagnosed facet joint syndrome. If you read only one article on this entire website, you have chosen wisely, for this is surely the most critical and important topic among all of our patient guides. We are going to keep this report short and simple for maximum reader comprehension and benefit. What misdiagnosis means is that the degenerative changes that occur in the facet joints have been implicated as the cause of pain, despite no proof existing that links these changes to the origin of the pain. In essence, the changes are coincidental to the pain, which exists due to some other source process. This is the exact thing that occurs in the misdiagnosis of many other verifiable changes in the spine, such as herniated discs, spinal stenosis, degenerative disc disease and scoliosis. The anatomical changes are surely and indisputably present, but are not the sources of suffering. It is that simple. The patient will immediately be affected by the nocebo effect of a diagnosis that does not even apply to them. The proven results of this nocebo include symptomatic escalation, fear, anxiety and diminished efficacy of treatment. The patient will be entered into treatment for a condition that is not the true source of pain. Results will likely be horrible, wasting the patient’s time and money pursuing care for innocuous and incidental structural abnormalities. Patients will become frustrated by their abysmal outcomes of care and will usually seek out ever-more dramatic methods of therapy, usually ending with one or more failed surgical endeavors. Of course, we know that all these treatments have failed not for any other reason except the mistaken targeting caused by misdiagnosis. As long as the patient clings to the diagnosis, they will never find relief and are basically doomed to suffering because of one mistake made at a crucial time in the medical care process. First, always seek out more than one professional opinion for any diagnosis presented. Be sure to find an objective second doctor that will not have access to the first doctor’s opinions in order to improve this process. Next, take time and effort to research and learn about your diagnosis. Look for any inconsistencies in the symptoms you have versus the clinical expectations of the symptoms for that condition. In virtually all cases, we observe obvious symptomatic correlation inconsistencies that were never picked up by the doctor or the patient in our evaluations of unresponsive chronic pain. An educated patient is their own best advocate. An ignorant patient is a sheep to the slaughter. It is as simple as that. If several indicated treatments fail to bring about relief, immediately begin to question the accuracy of the diagnosis, rather than the effectiveness of the therapy methods or the doctors employing them. We can not tell you how many readers will go from doctor to doctor and treatment to treatment, blaming each for failing them, but will never even consider questioning the correctness of the diagnosis. This is insanity!